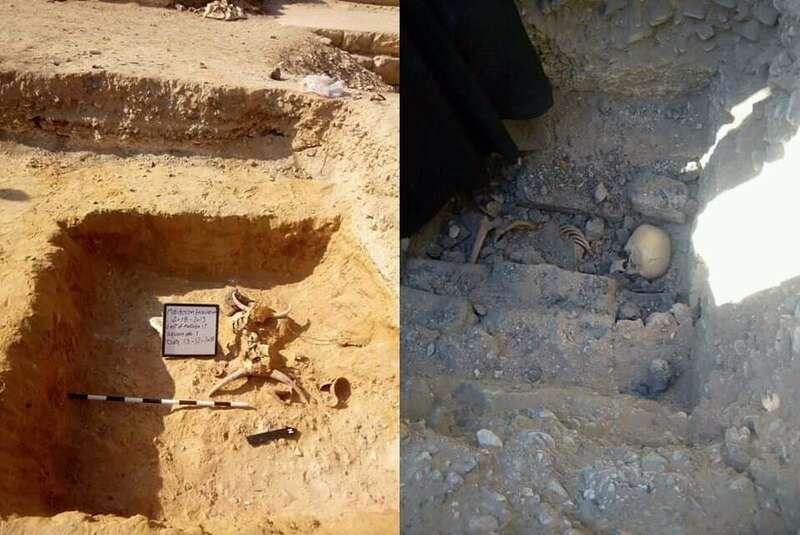 After millennia laying obscure, invisible by human eyes, archaeologists have discovered the skeleton of a teenage girl next to an early Egyptian pyramid composite. 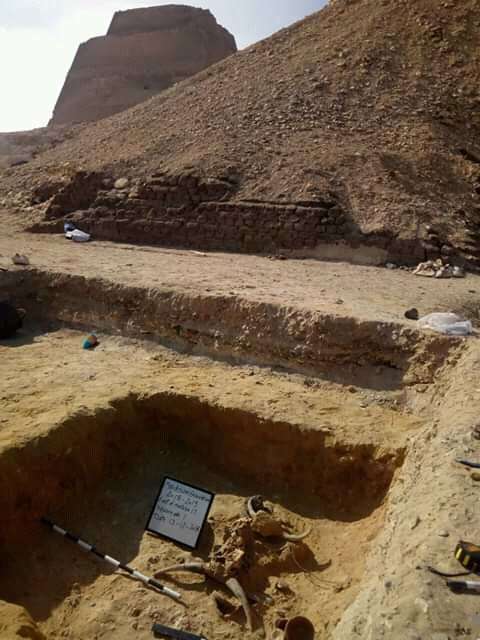 The discovery was made at the basis of the pyramid at Meidum, an archaeological area around 100 kilometers( 62 miles) south of Cairo, only a short hop from the River Nile, according to an announcement this week by Eygpt’s Ministry of Antiquities. While there’s no testify hitherto to suggest when she was buried, the pyramid that she was buried at the basi of is estimated to be 4,600 years old, around the time the first pyramids were built in Egypt. Based on research studies of the bones, the archaeologists accept the remains belonged to a teenage female, perhaps around the age of 13 years old. A tiny wall of bricks surrounds the burial site, suggesting that it was once a graveyard. It’s currently a whodunit who this teen was, however, there are a few intriguing suggestions for health researchers working in cooperation with. The skeleton is laid alongside three small-scale jackpots and a sealed papyrus, which the archaeologists are currently attempting to decipher. Curiously, the tomb also continues the skulls of two officers. Again, it’s unknown why exactly the skulls are acquired here, but the figure of the officer does frequently may be found in Ancient Egyptian mythology. Apis, for example, was a deity that was often illustrated as a cop to represent strength and fertility. This alone is not much to go on, but usually people who were embed alongside such belongings, and in such a prominent location, likely had a respected or privileged social status. Construction of the pyramid at Meidum is felt have been started under Huni, the last pharaoh of the Third Dynasty, whose predominate ended around 2600 BCE, but it was completed under his successor Sneferu. As you can see in the portraits, such structures is not your typical pyramid. In reality, it scarcely resembles a pyramid at all after centuries of devastate, so it’s often referred to as an “el-haram el-kaddab, ” which represents “False Pyramid” in Arabic. It’s thought to have started as a stair pyramid, like many of the earliest Egyptian pyramids, but was then converted into a true pyramid. There are numerous hypothesis about why they changed programmes half-way through structure, nonetheless, according to Live Science, some hint this pyramid presents one of the Egyptians’ first is trying to make a true-life pyramid using trial and error. This is quite remarkable considering that Sneferu’s successor, Khufu, is widely credited to have commissioned the Great Pyramid of Giza, the gargantuan gravestone that stood as the tallest human-made arrangement in the nations of the world for over 3,800 years.